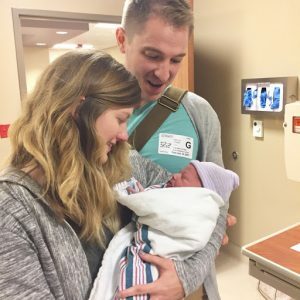 Now that my daughter and her husband Wes have received the new baby and begun to learn the fine art of changing diapers and bathing such a precious human life, she has taken the time to write the story of the incredible experience. We were able to “live through it” with them though the marvelous technology we did not have when our kids were born–videos, pictures, and Facetime. I hope you enjoy their story and the pictures as much as we did (and do). “I’ve been really excited to write down and share the birth and adoption story of our new baby son. It’s long, I apologize, but it was such a beautiful experience and I just can’t leave out good details! We have a son. 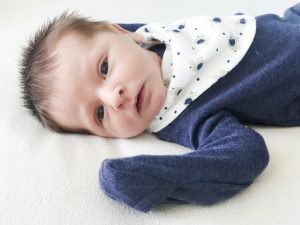 A perfectly healthy and beautiful son with a head full of shiny brown hair and sparkling gray/blue eyes. He is sound asleep on me right now, all wrapped up in a baby wrap pressed up against my chest, making cute little noises with each breath. My heart melts a little more each time I feel his little lungs rise with air. My nose is constantly pressed up against his head so I can smell him and kiss him. I can’t believe I’m his mom and Wes is his dad. We are literally overwhelmed with so many emotions and so much awe. “We got to Florida Monday the 9th in the afternoon and took the birth mom to dinner. 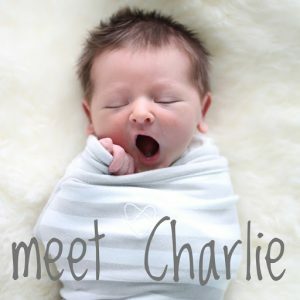 (We are staying pretty private about the birth family to respect them and also to respect Charlie’s history. It’s knowledge for him to cherish, and not for everyone to know all about). For the whole story visit Charlotte’s Finding Baby Sorrill website. Ignatius Press prepares for 100th anniversary of Fatima with a historic pilgrimage and new release San Francisco, November 21, 2016 – The long-awaited 100th anniversary of the appearances of Our Lady at Fatima in 1917 is around the corner, and Ignatius Press has exciting plans to help the faithful prepare for this historic year. 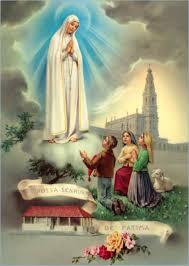 Next year is the time to visit and celebrate this famous Marian apparition. Ignatius Press, in conjunction with Steve and Janet Ray, will be leading a very special pilgrimage to celebrate this amazing and historical visit of our Blessed Mother at Fatima from May 16-25, 2017. Steve and Janet Ray are well-known for their inspiring pilgrimages, dynamic sense of adventure, and travel expertise. Guest speakers will include leading Fatima expert Fr. Andrew Apostoli, C.F.R, Mark Brumley, President of Ignatius Press, and Fr. Mark Mary of EWTN. On this pilgrimage, travelers will experience the beauty, faith and cultures of Portugal, Spain and France. 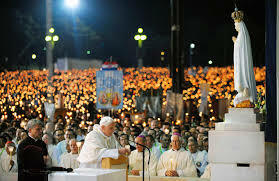 Pilgrims will visit Fatima and experience the quaint ambiance of the village as it was 100 years ago. Today pilgrims walk through the narrow streets, see the thatched roofs and visit the homes and church of the children. The sites where the angels and the Blessed Mother appeared are maintained in there pristine condition which elicits prayer and meditation. Masses and processions are held daily at the very place that 70,000 people looked up and saw the sun dance. One steps back in time as they walk in the footprints of the children and pray at the places of the apparitions. 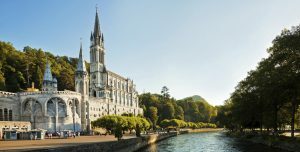 Pilgrims will also visit Santiago de Compostela and Lourdes, among other sites. Also exciting will be the visit to Loyola in Spain which is the city of Saint Ignatius of Loyola. Throughout the pilgrimage, the best hotels and finest dining will be provided, along with inspiring talks about the Catholic faith. Daily Mass will be celebrated by Fr. Andrew Apostoli and Fr. Mark Mary each day at the most sacred sites as pilgrims are immersed in some of the most visited Marian shrines in the world. Grzegorz Górny and Januzs Rosikon, who have traveled throughout Europe to investigate the story of Fatima and its impact on the destiny of both individuals and nations. With stunningly beautiful four-color photographs on every page, and in-depth detail and insights on all aspects of the story and message of Fatima, they probe the mysteries of Fatima and their continued relevance for our modern age. For those who can’t travel to Fatima for the 100th anniversary, this dazzling photobook will transport them to the heart and message of Our Lady of Fatima. If these dates don’t work for you, we have another trip going in November with Arbishop Lucas of Omaha NE and Spirit Catholic Radio.